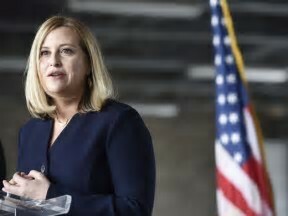 A Disgruntled Republican in Nashville: Mayor Barry comes out aginst Scantuary City bill. Says Council should give serious consideratioin to negative factors. Mayor Barry comes out aginst Scantuary City bill. Says Council should give serious consideratioin to negative factors. It is clear from this legal opinion that BL2017-739 does not apply to Sheriff Daron Hall, who has said he will continue to honor detainer requests from the federal government. Additionally, the Metro Nashville Police Department has concerns that the ordinance would prohibit them from recommending U visa applications for immigrants who are victims of crime and willing to help put dangerous criminals in jail. Losing that law enforcement tool could jeopardize public safety and would run counter to the intentions of the sponsors to make Nashville a more welcoming city for New Americans. The Metro Council should give serious consideration to these factors and reconsider whether this legislation is appropriate or necessary at this time. In his legal opinion, Law Director Jon Cooper determined that BL2017-739 “would not be legally binding on the Sheriff. Under state law, the Council cannot prohibit the Sheriff from cooperating with federal authorities related to immigration. According to U.S. Citizenship and Immigration Services, the “U nonimmigrant status (U visa) is set aside for victims of certain crimes who have suffered mental or physical abuse and are helpful to law enforcement or government officials in the investigation or prosecution of criminal activity.” In 2016, 189 U visas were recommended by the MNPD and District Attorney; so far this year, 169 have been recommended. This is an important tool for law enforcement to have the witness testimony necessary to arrest and prosecute dangerous criminals who are a threat to the community.